Having effectively marshalled the energies and talents of its citizens, elected leadership, and staff to introduce and implement a range of sustainability programs, the City of Beaverton enjoys recognition and distinction as an environmental steward. For example, the US Council of Mayors has awarded Beaverton its coveted Climate Protection Award for small cities. Similarly, the U.S. Environmental Protection Agency designated Beaverton a Green Power Community for its sourcing of renewable energy. Outpacing other municipalities of its size, in 2010 Beaverton took several steps to institutionalize its sustainability programs. In particular, the addition of a staff Sustainability Manager and the subsequent creation of a Sustainability Division within Beaverton city government have provided the city with the opportunity to integrate and expand its sustainability programs. To guide these efforts, the Sustainability Division published the Sustainability Beaverton Strategy (SBS) in 2012. The SBS builds on the city’s past successes, sets priorities for future investments, and sets clear city-wide sustainability goals and metrics. The strategy has enabled Beaverton’s sustainability program to move forward with greater efficiency and rigor. This report contains the findings of the first evaluation of the Sustainability Beaverton Strategy since its publication in 2012. To conduct that evaluation, the City of Beaverton retained Brightworks Sustainability to compare the SBS to the Global Reporting Initiative (GRI) Reporting Framework, the world’s most comprehensive global standard of sustainability practice. 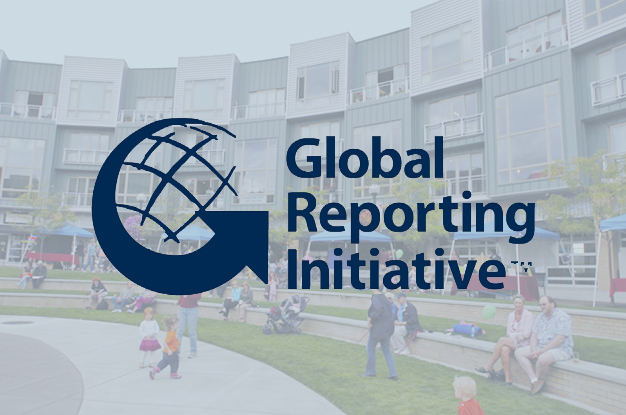 GRI promotes sustainability reporting as a means of improving organizations’ sustainability programs through comparison, disclosure, and accountability. GRI develops, maintains, and publishes an authoritative framework, used throughout the world, for organizations to adopt when disclosing their sustainability performance. By recommending the content of a sustainability report, GRI also effectively recommends the content of sustainability programs. GRI’s Sustainability Reporting Framework is considered the most comprehensive sustainability framework in use today. Brightworks’ comparative gap analysis revealed that overall, the SBS satisfies many of the required criteria of GRI; however, there were several gaps identified that needed to be addressed.